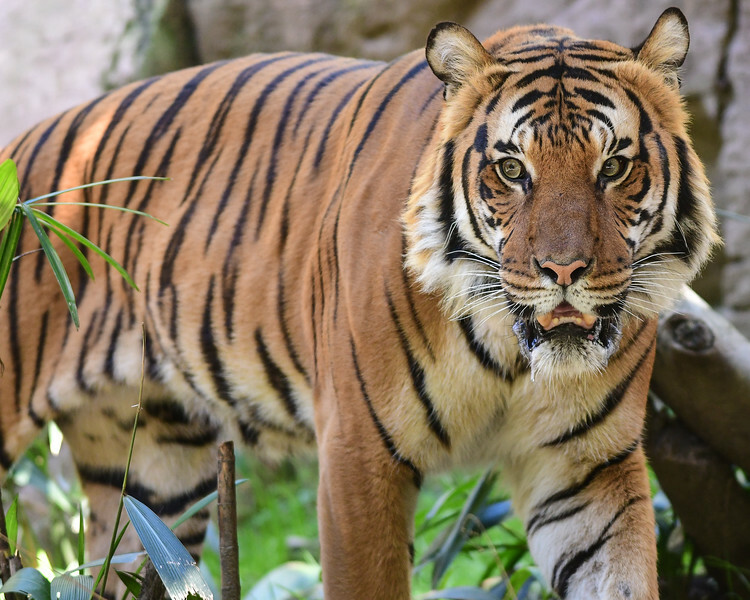 I got a chance to spend some quality time with Connor the Malayan Tiger at the San Diego this past Monday. 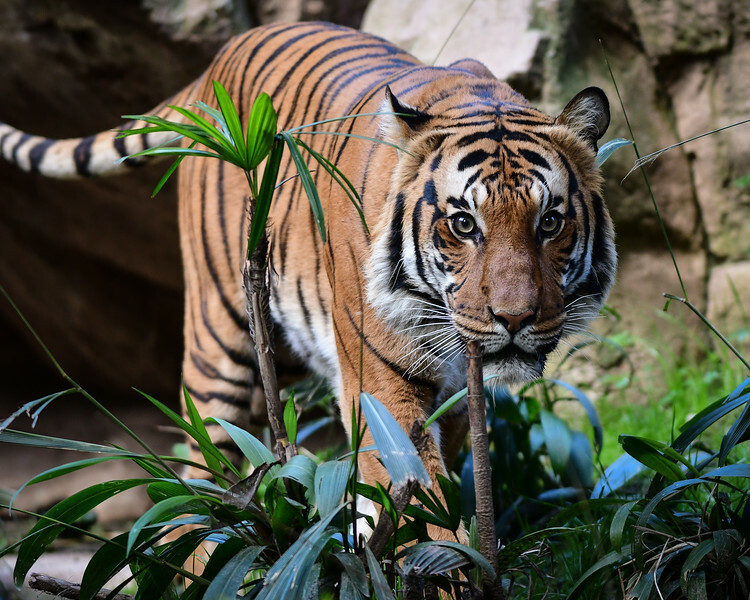 Click here if you would like to see more of Connor from Monday, February 18, 2019 at the San Diego Zoo. 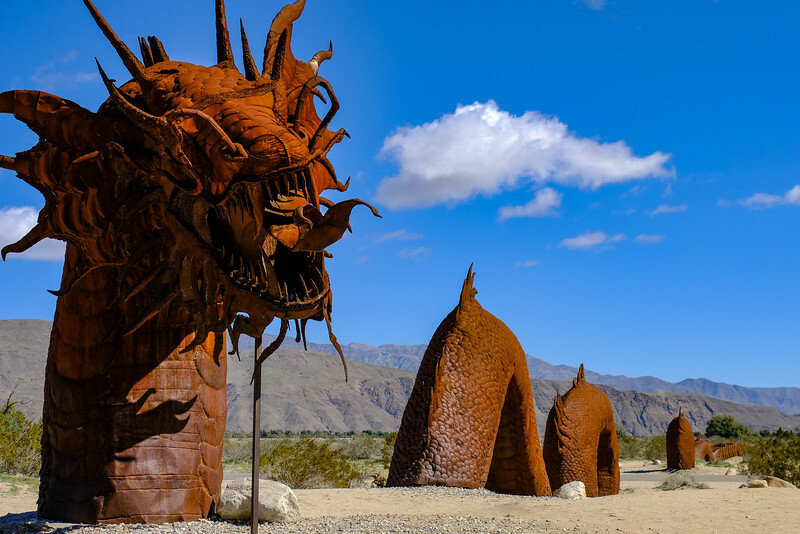 Included in the over 130 steel sculptures by artist Ricardo Breceda that can be found in the Borrego Valley around the town of Borrego Springs, California is a 350-foot long sea monster. 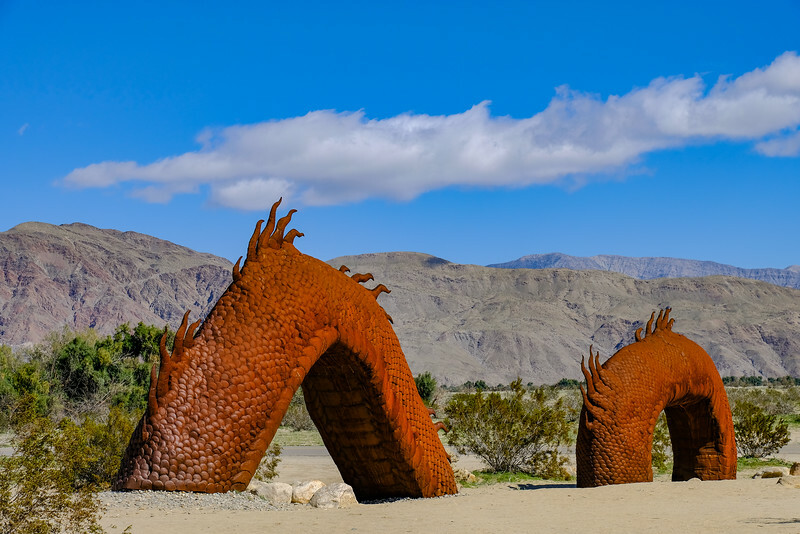 That's not a typo - it's 350 feet long, and it actually spans (well, sort of) Borrego Springs Road. Just drive north from Christmas Circle, you really can't miss it. 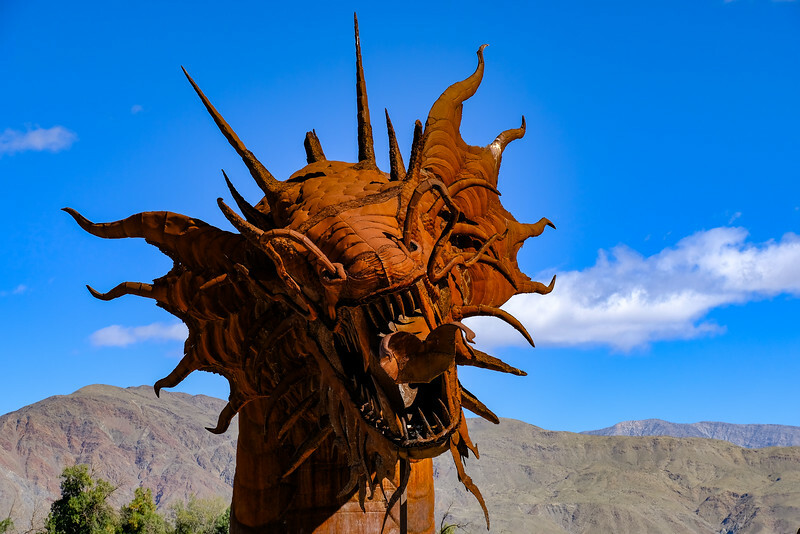 Click here to see a few more images of the steel sculptures in Borrego Springs, California from our day trip there on February 17, 2019. 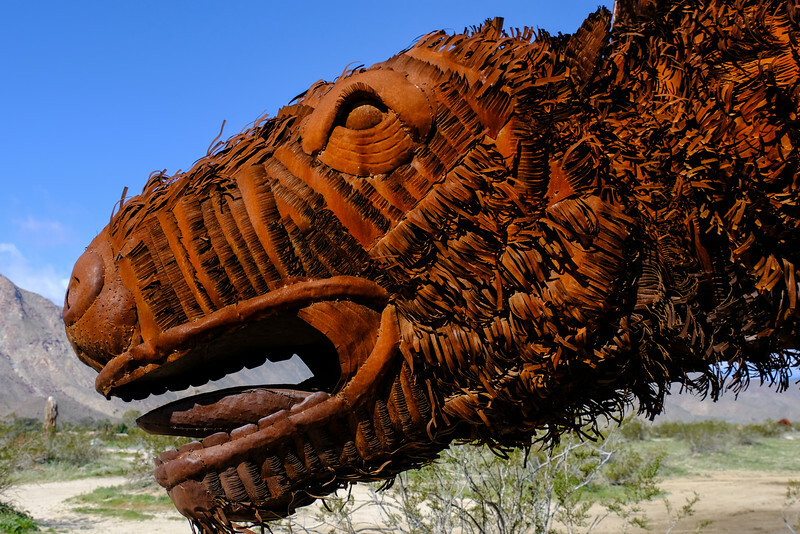 We went to Borrego Springs this past weekend to check out the steel sculptures by Ricardo Breceda. 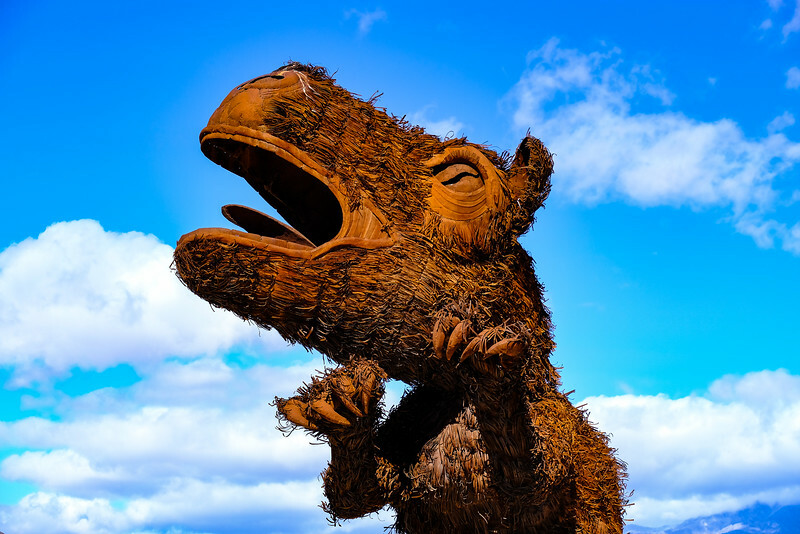 There are over 130 sculptures in this installation by Mr. Breceda, and one of my favorites has always been the Giant Sloth Family. 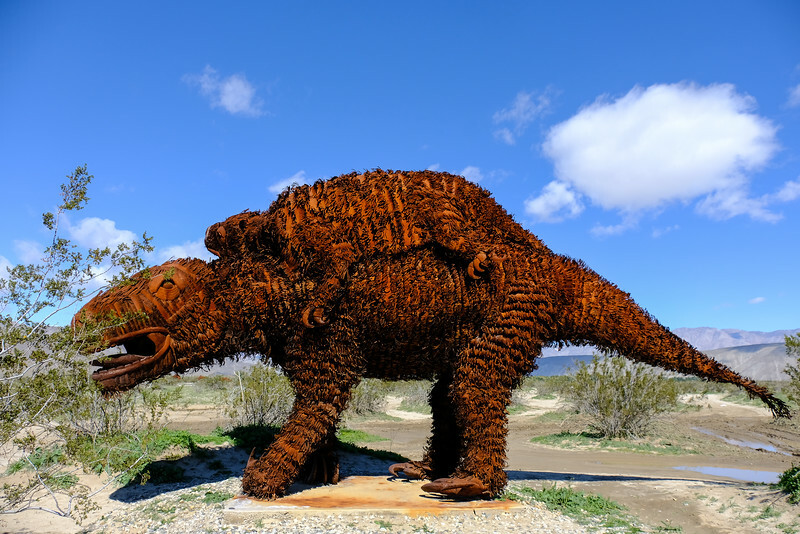 These are located on the east side of Borrego Springs Road north of Christmas Circle, just north of the Gomphotherium sculptures. Here's Mother Sloth, with Baby Slot on her back. Father Sloth is off a bit further to the north. The level of detail on all of these is just amazing. 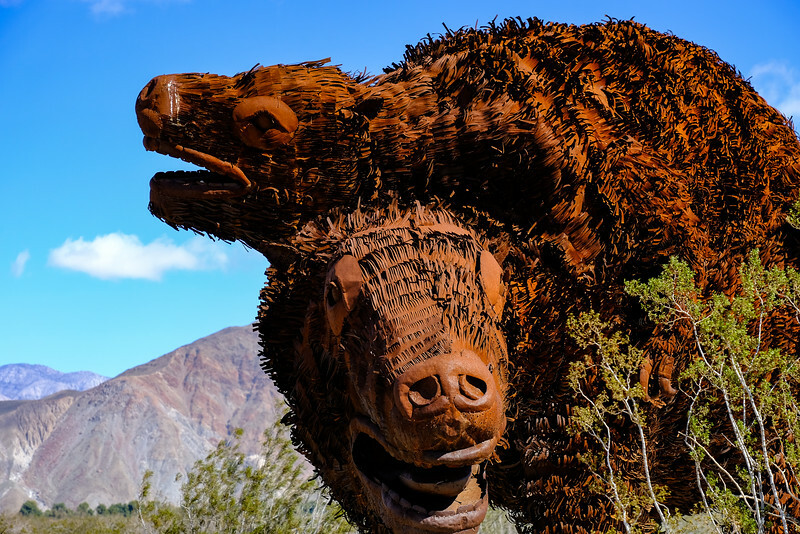 Anyone heading out to the town of Borrego Springs or to Anza Borrego Desert State Park should make it a point to check out these fantastic pieces of art. 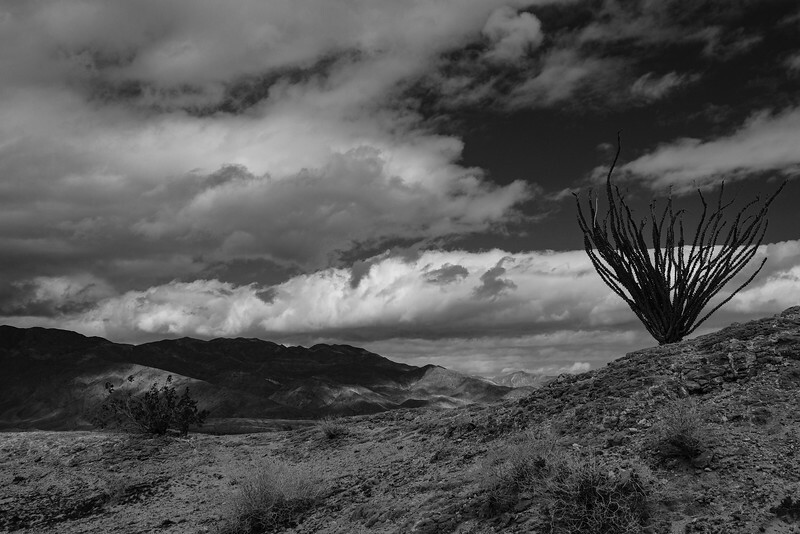 Click here to see a few more images from Borrego Springs on Sunday, February 17, 2019. Last Sunday the weather was about as good as you could want for a drive in the desert. 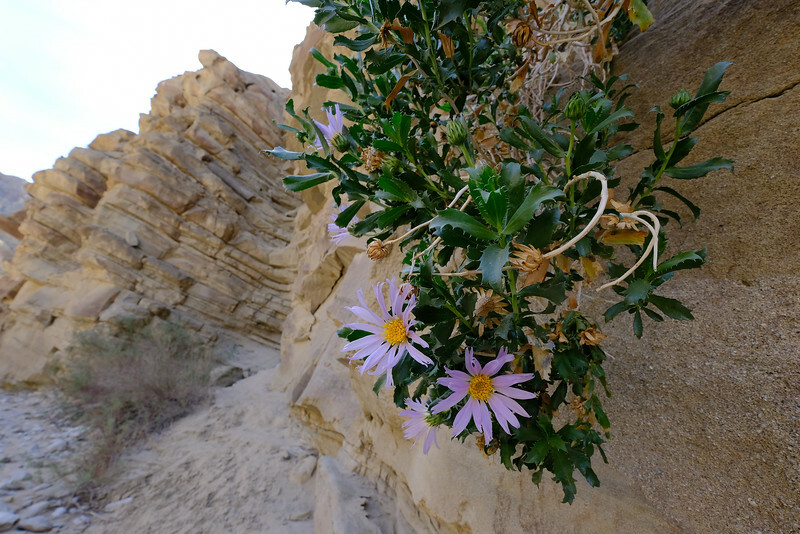 It's been several years since we've been to Fish Creek and Sandstone Canyon in Anza Borrego Desert State Park (in Eastern San Diego County, California). 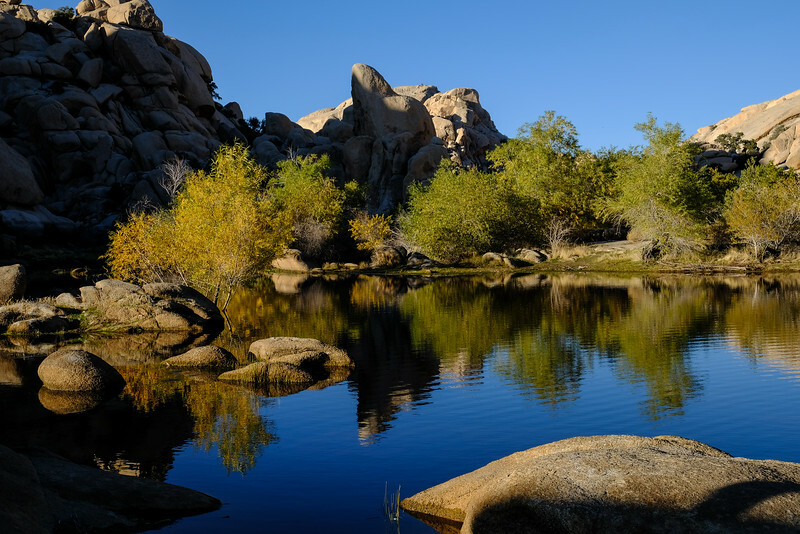 With over 500 miles of dirt roads you can see all sorts of scenery and terrain in this over 600,000 acre State Park. 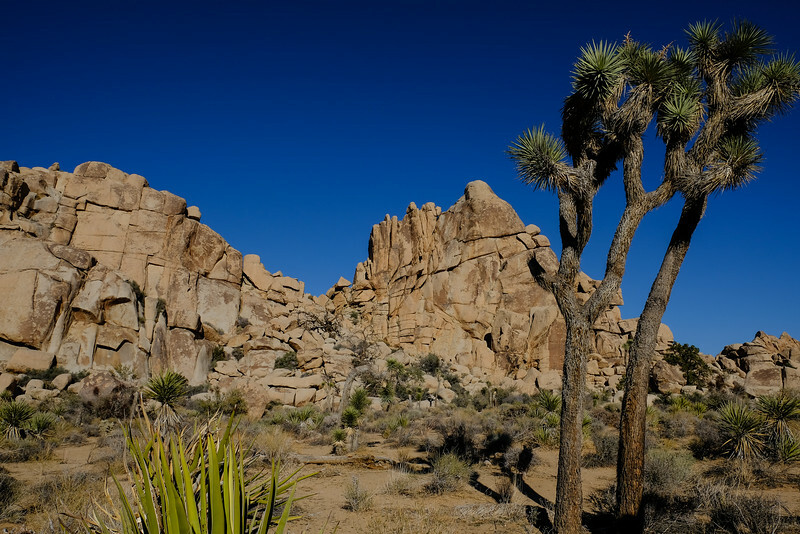 That's about 938 square miles of space, making it the largest state park in California, the second largest in the contiguous US, and covering a full one-fifth of San Diego County. Which is all a long way of saying . . . it's a really big place. I can think of several spots where all you see is natural desert with no sign of anything man-made for as far you can see. 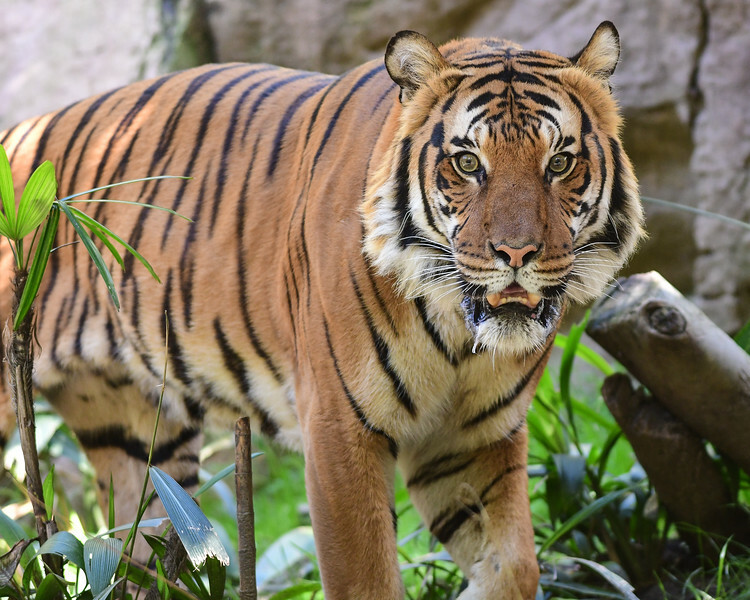 And conveniently, it's only a two-hour drive from our home. 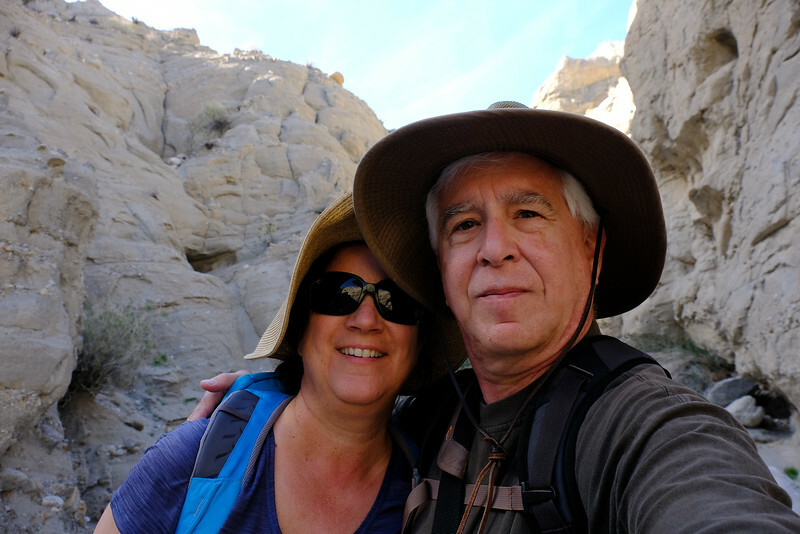 For our Sunday drive we took Split Mountain Road to its end 8 miles south of CA-79 at Ocotillo Wells, and then left the pavement. 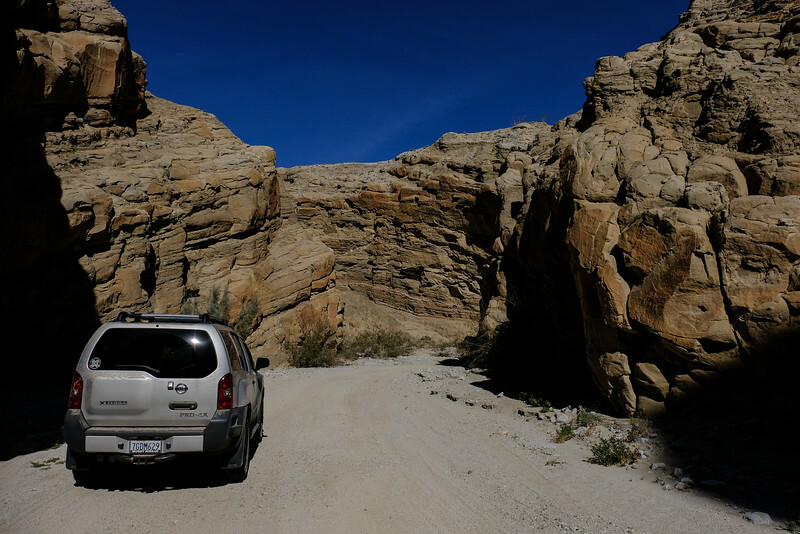 We drove about 12 miles up (mostly) wide Fish Creek Wash and then turned into Sandstone Canyon, a much narrower canyon carved out of the sandstone. 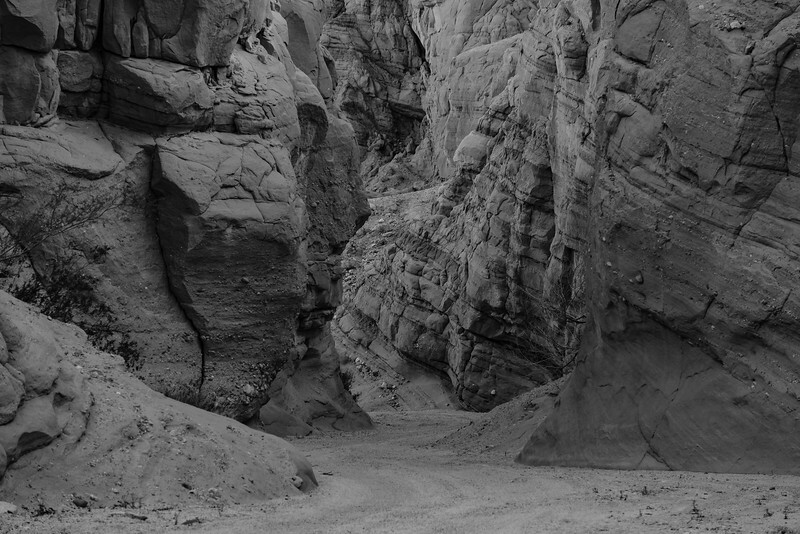 We drove about 1.5 miles up Sandstone Canyon, then turned around drove back the way we came. Total off-road driving was just over 27 miles. 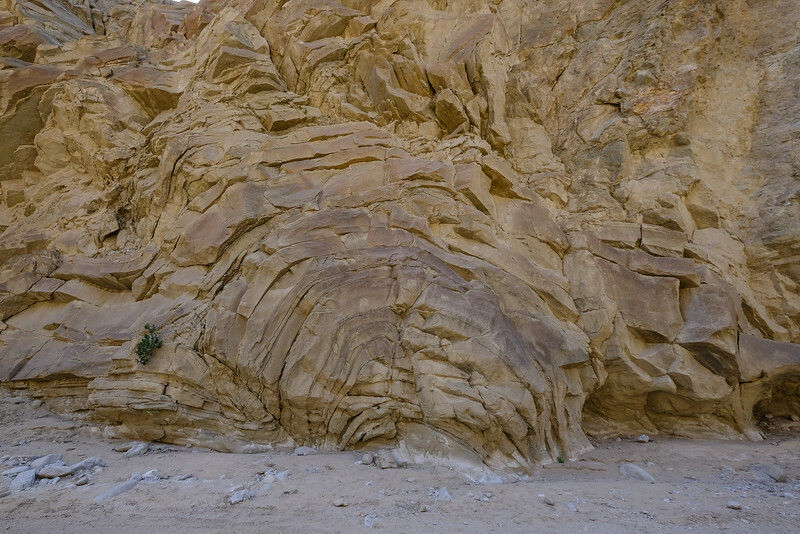 About 3 miles up Fish Creek is a geological formation known as the Anticline at Split Mountain, where you can see how the sandstone folded into layers during an abrupt geological event over 5 million years ago. This little plant may not look like much, but I've been visiting this area since January of 2006, and it's been there the whole time. 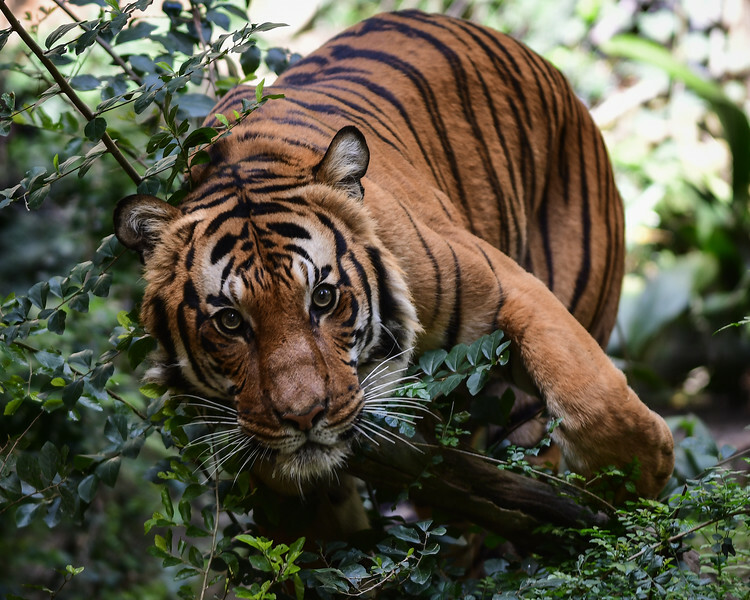 Considering the harsh environment I find it quite impressive to still be there. Click here if you're curious what it looked like in 2006. After the narrow spot at Split Mountain, Fish Creek opens back up again to a wide sandy wash with multiple tracks. 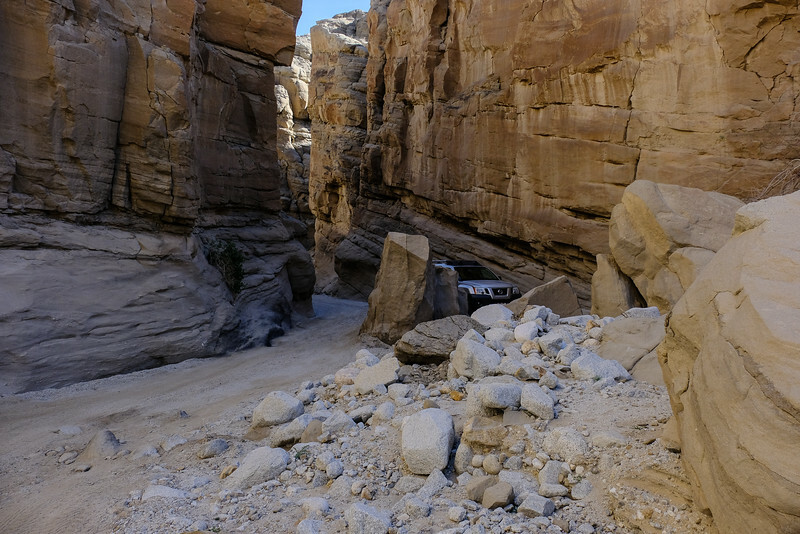 4WD drive is a good idea out here, but depending on the conditions, you can sometimes do this drive in a 2WD with high clearance and careful driving. At one point we spotted a few of these things. I don't know if this is just a clever and creative work of art, or if it's a marker for some sort of extraterrestrial alien visitation. You know, the sort of thing you would see on Ancient Aliens. Either way, we weren't taking any chances, and kept moving. 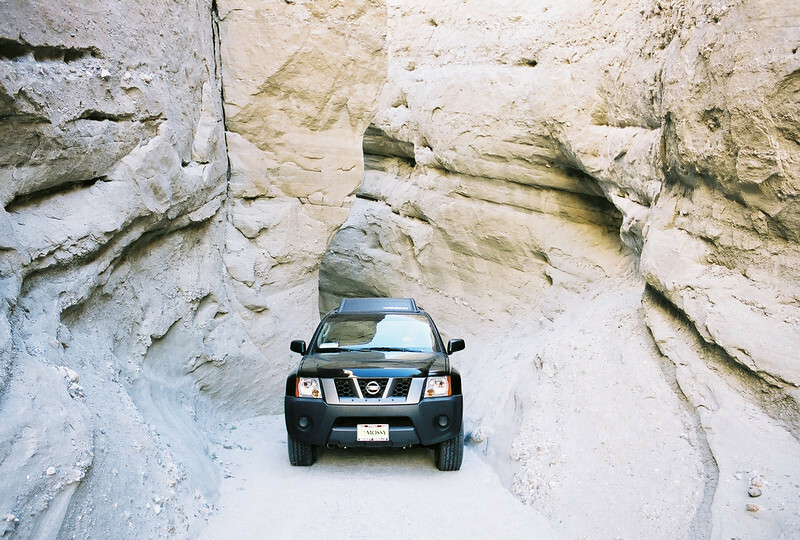 Our 2014 Nissan Xterra works well for this sort of exploring. 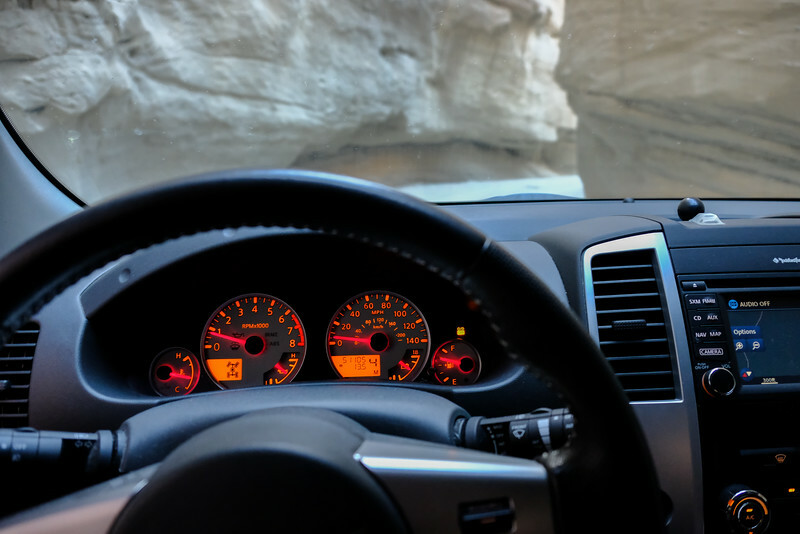 It has 4WD, all-terrain tires and plenty of space for supplies, but is still small enough to be quite maneuverable in tight spaces, and it's quite comfortable on the road too. 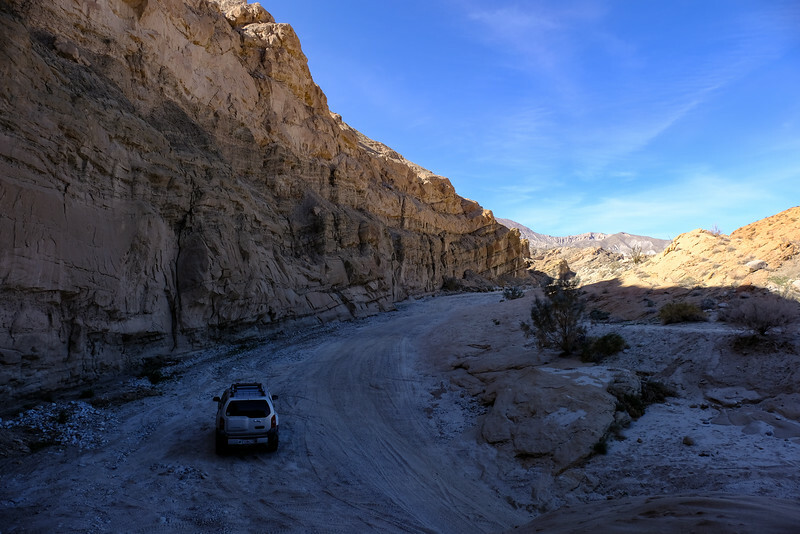 Twelve miles up Fish Creek (I say "up" because we've literally been heading upstream, with a slight elevation gain the entire way) we turned into much narrower Sandstone Canyon. 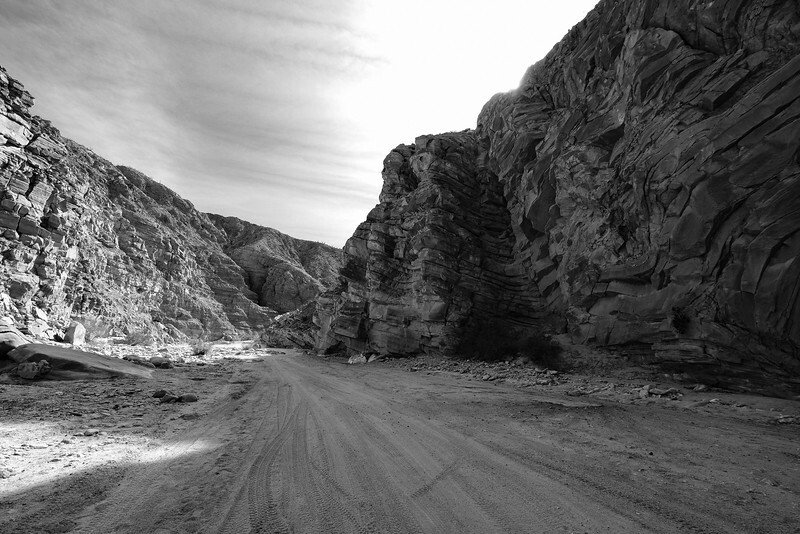 When we first visited Sandstone Canyon in January of 2006 you could drive about 3 miles up the canyon, which got so narrow in spots you did not want to be hanging your arm out the window on either side. 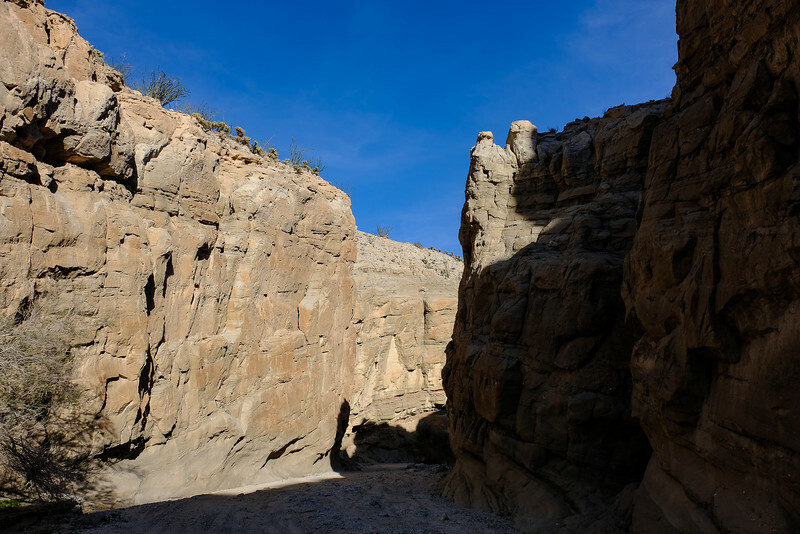 Since Easter Sunday of 2011 there have been a series of earthquakes that have dropped a significant amount of rock into the canyon floor in places. 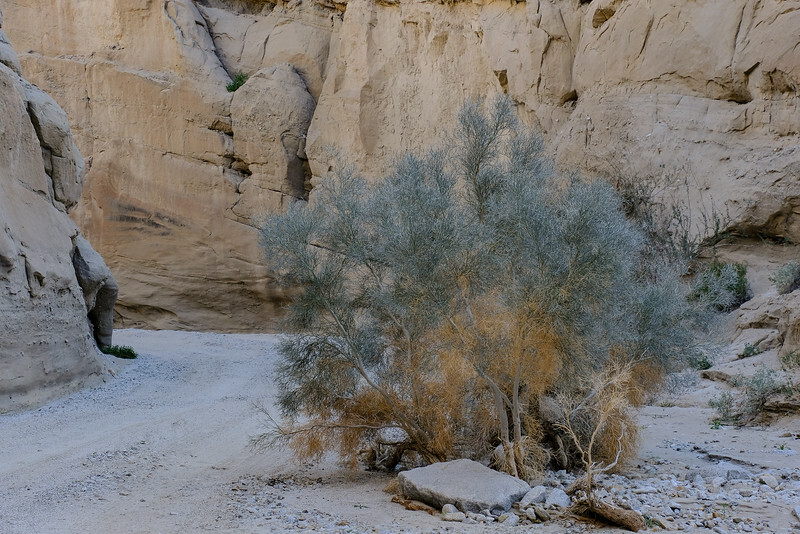 Also, because of the amount of water which must flow through there during flash floods, the canyon changes almost every year. On Sunday we drove up about 1.5 miles and parked, and walked the rest of the way. There actually was enough room to get through this tight spot . . .
. . . so we did, and continued up a bit further before we parked and walked. More to follow in Part 2. 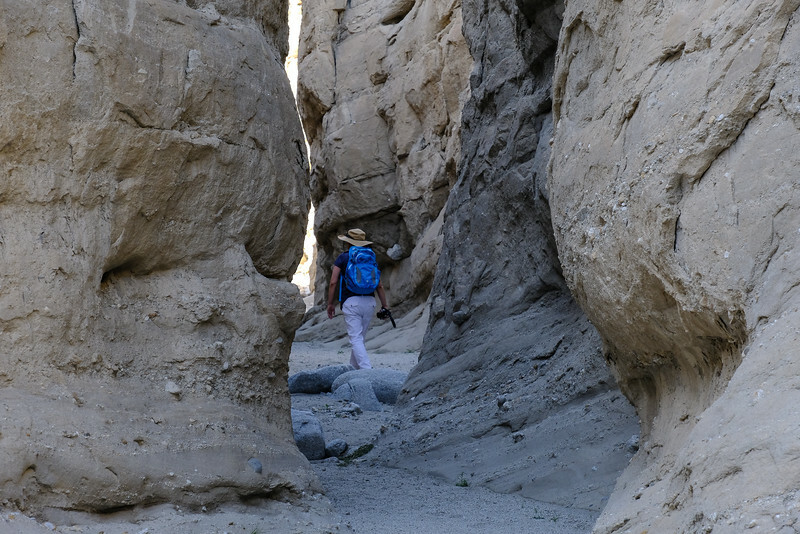 Here are more pictures from a trip last Sunday to Fish Creek and Sandstone Canyon in Anza Borrego Desert State Park. If you look closely at the bottom right portion of this first image you can see Heather, that will give an idea of the scale of the canyon. 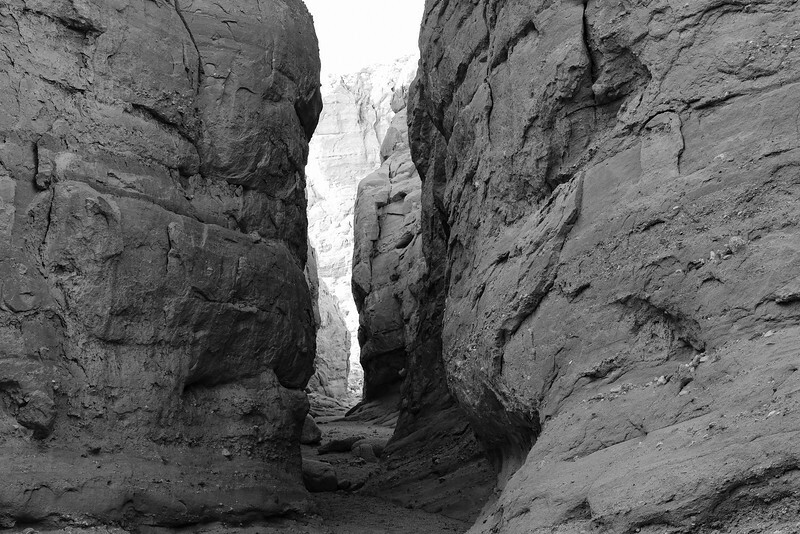 We took a little side trip walk up a very narrow little slot canyon that goes off from Sandstone. 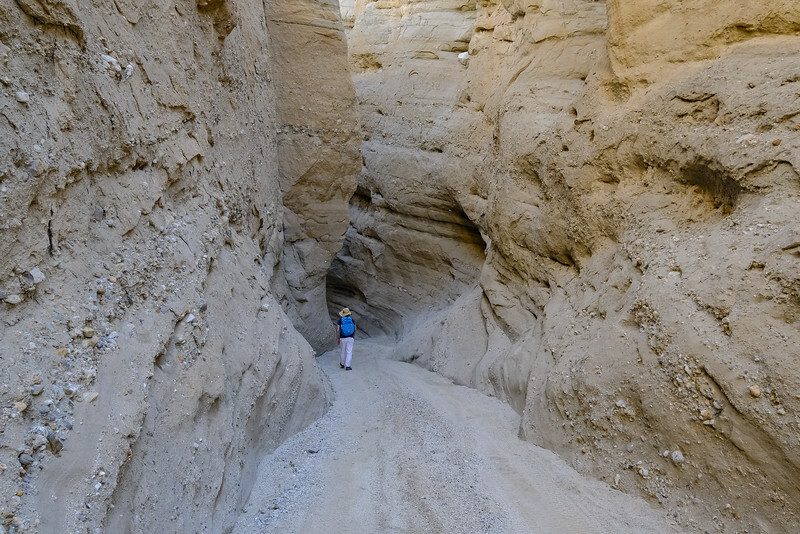 The last time we walked this canyon it was choked with rocks and debris on the canyon floor making it tough to get through in places. Right now it's a pretty easy walk. Here's a view with Heather in it for scale. It seemed like a nice spot for a selfie. 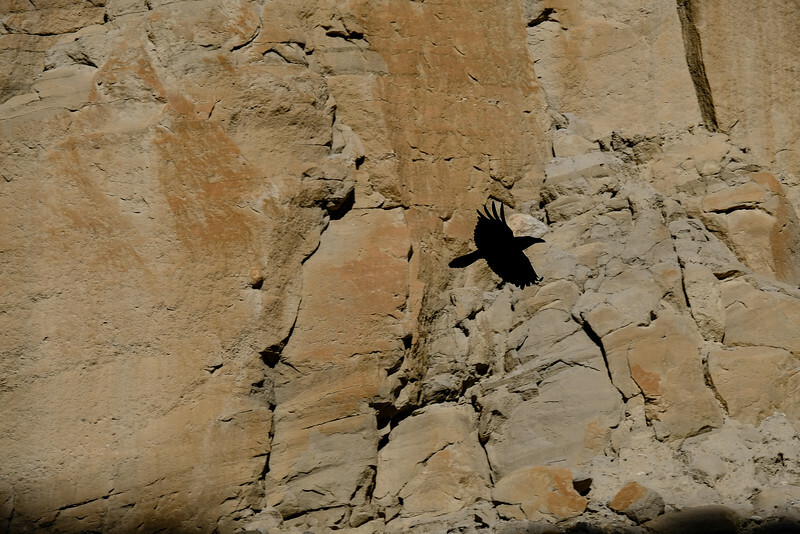 Back in the main part of Sandstone Canyon we found a few big ravens. 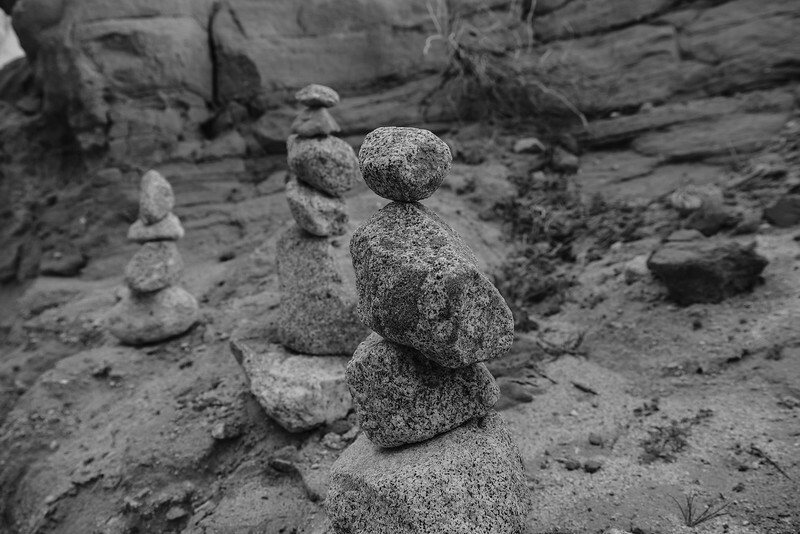 Most of the time we were there we saw or heard no one else, so it was absolutely dead quiet deep in the canyon. 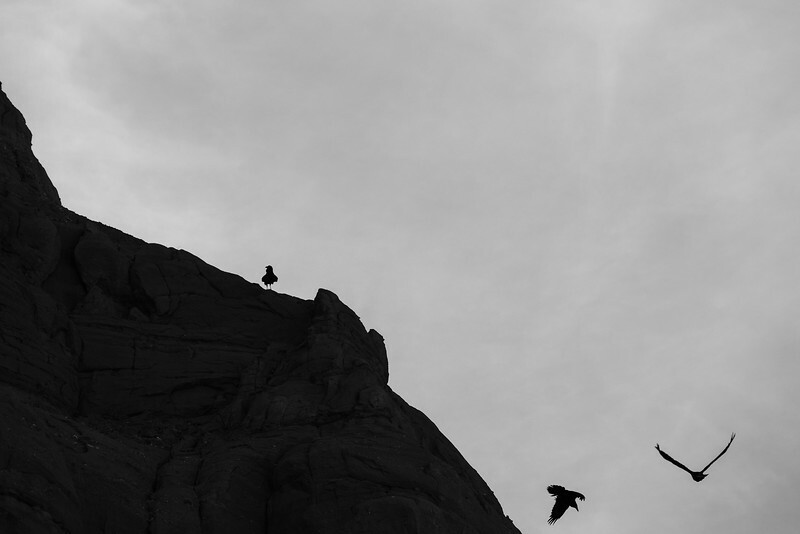 The raven's calls echoed loudly, but when they flew it was so quiet you could hear the air being pushed by the slow, rhythmic flapping of their wings. We walked about 3.5 miles out and back from where we parked. We saw very few other people, and when we did, it was only for a short time as they drove past. Otherwise, we had the whole place to ourselves it seemed. 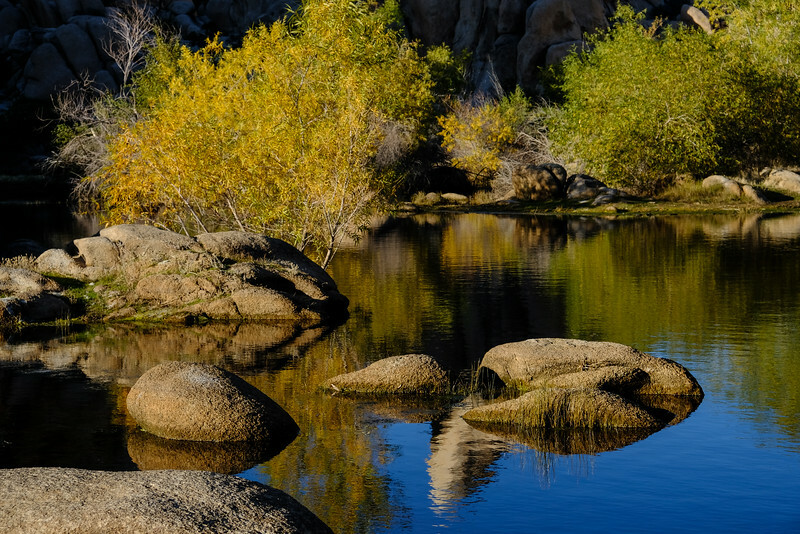 This next image is looking "downstream", i.e. back the way we came, about 3 miles from the start of Sandstone Canyon. When we first came here in 2006 we drove our first Xterra to a spot a little way past where I was standing when I took this picture. 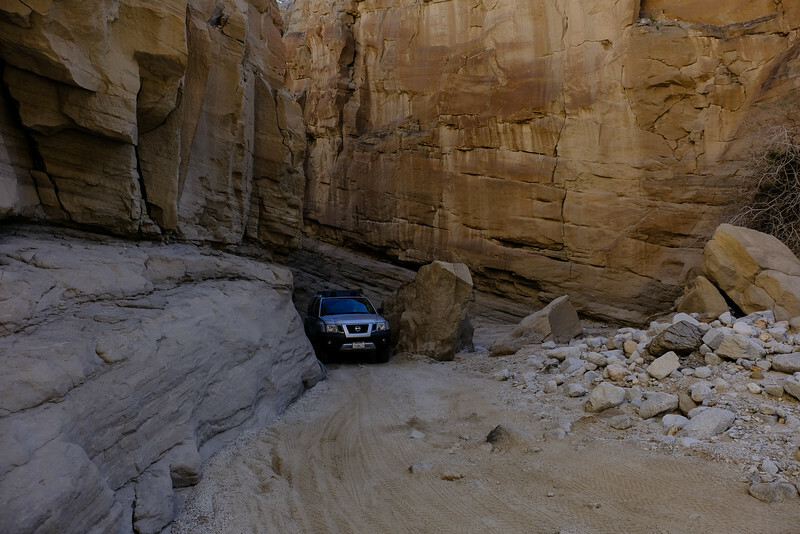 With the changes in the canyon floor, and because the new Xterra has stock suspension and we were alone, we opted not to risk climbing over the various rock piles to drive here this time. For comparison, Heather took this next picture in January of 2006 while standing about where I'm taking the one above from, of me coming out of that turn in our old 2005 Xterra. The truck was so new it didn't even have license plates yet. 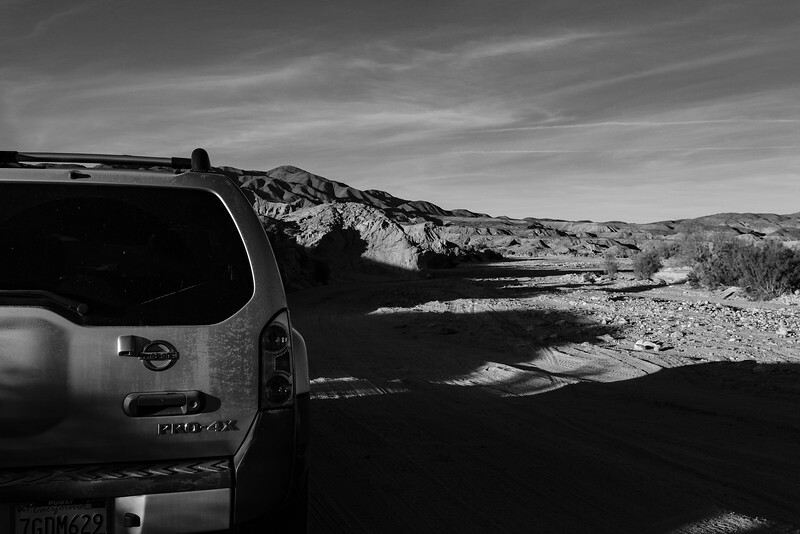 Eventually it was time to get back to the Xterra and head for home. 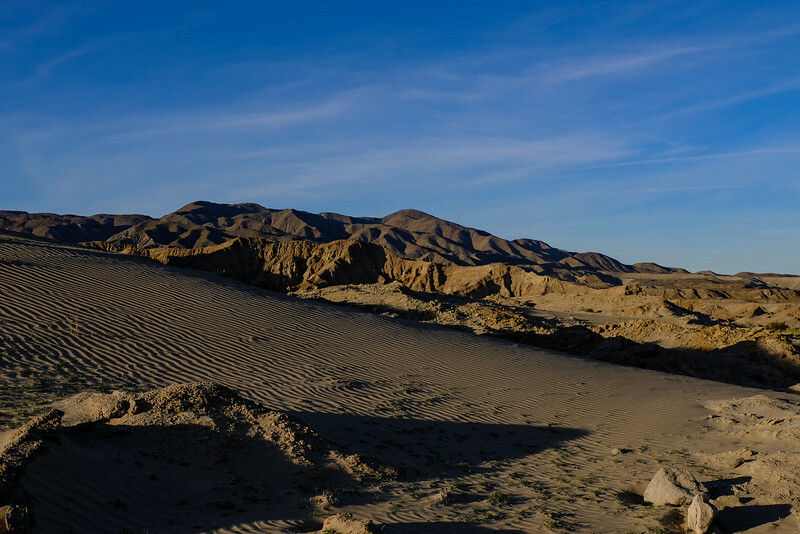 We spotted a small patch of cool looking sand dunes in the late afternoon sun on the way out. One last stop for a photo, about 10 miles to go to the pavement. 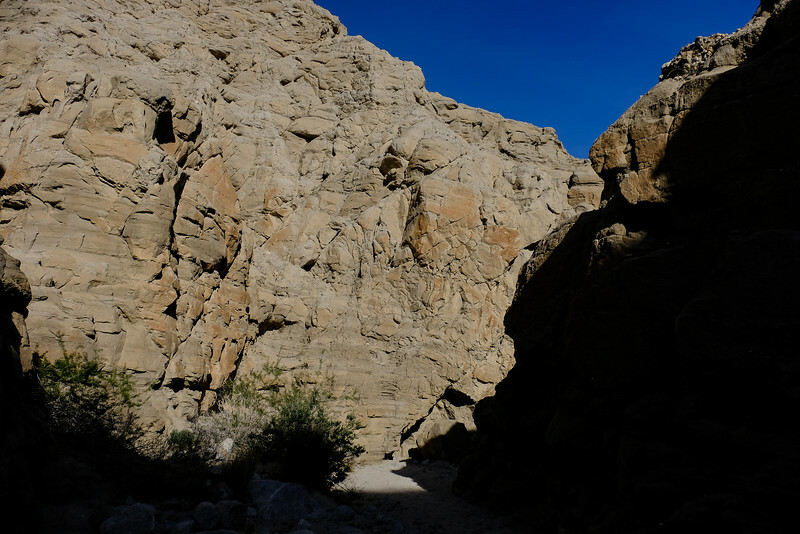 Click here to see more images from our day trip to Fish Creek and Sandstone Canyon in Anza Borrego Desert State Park on Sunday, January 27, 2019. 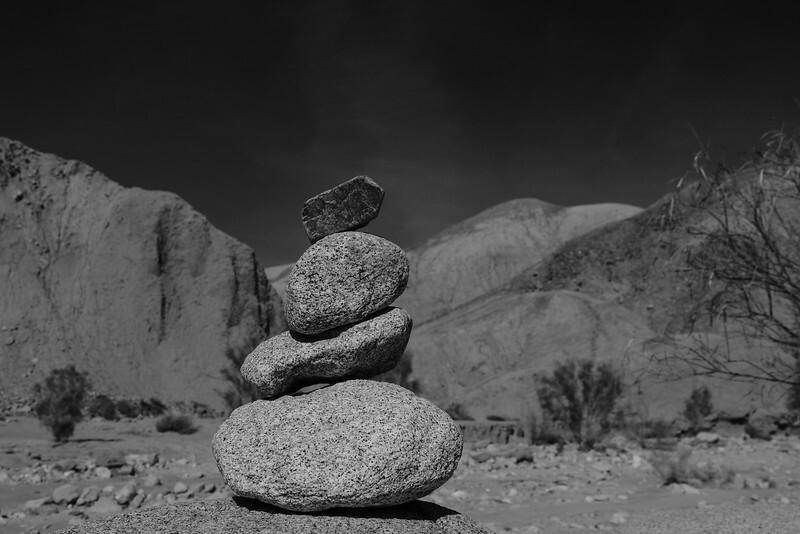 Click the Anza Borrego tag below for additional blog posts from trips to Anza Borrego. 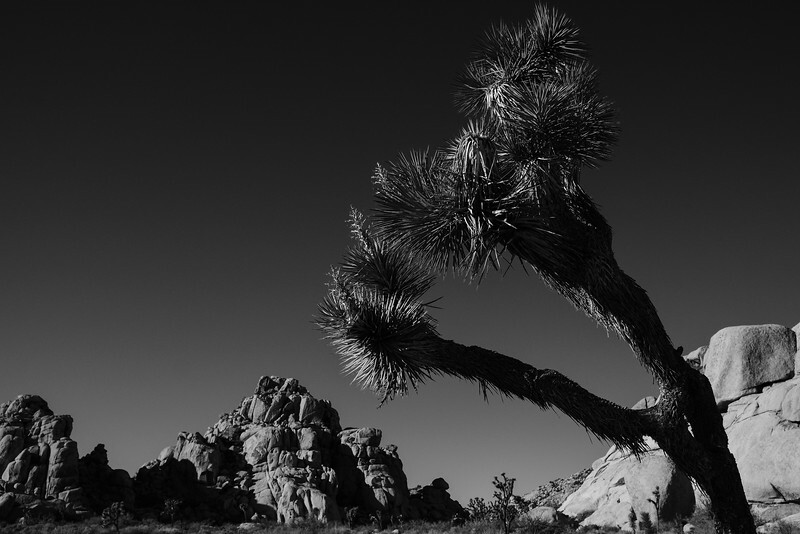 All images with either a Fuji X-T2 and XF18-135mm lens or a Fuji X-T20 and XF10-24mm lens, except for the ones from 2006, which are scanned prints from a film camera. 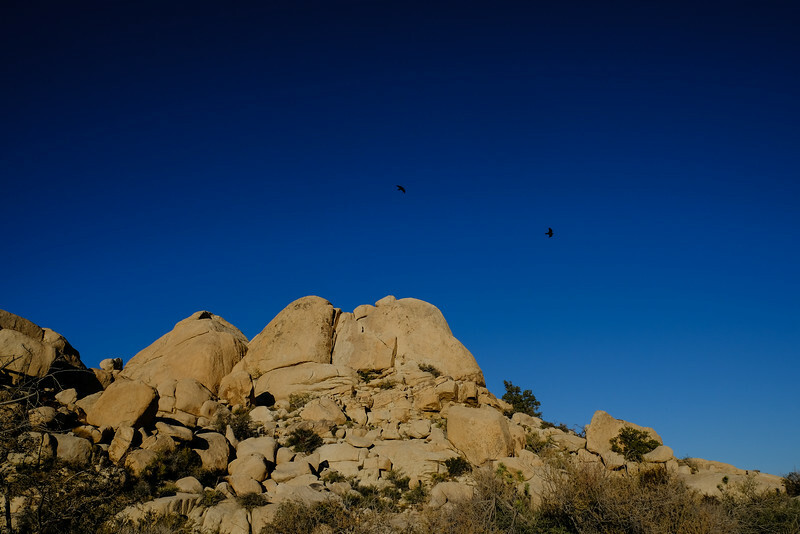 We spent an afternoon wandering around Joshua Tree National Park during the weekend after Thanksgiving this year. 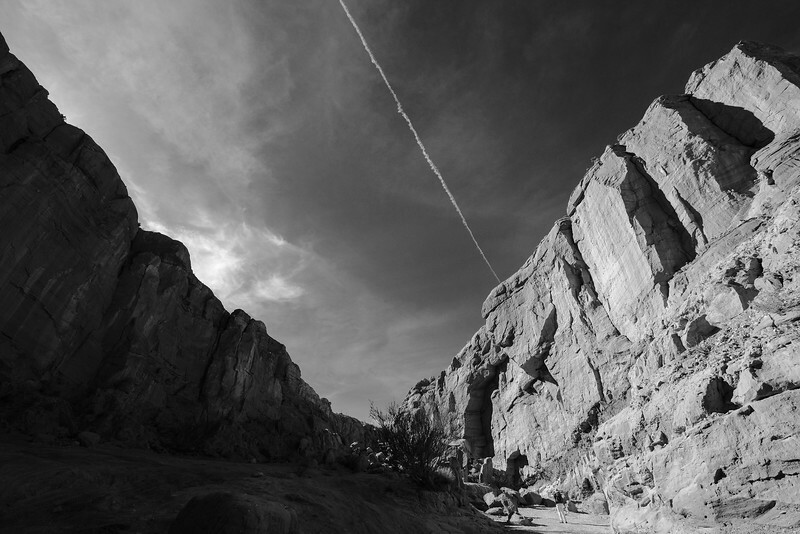 You can barely see the two rock climbers in this next image. 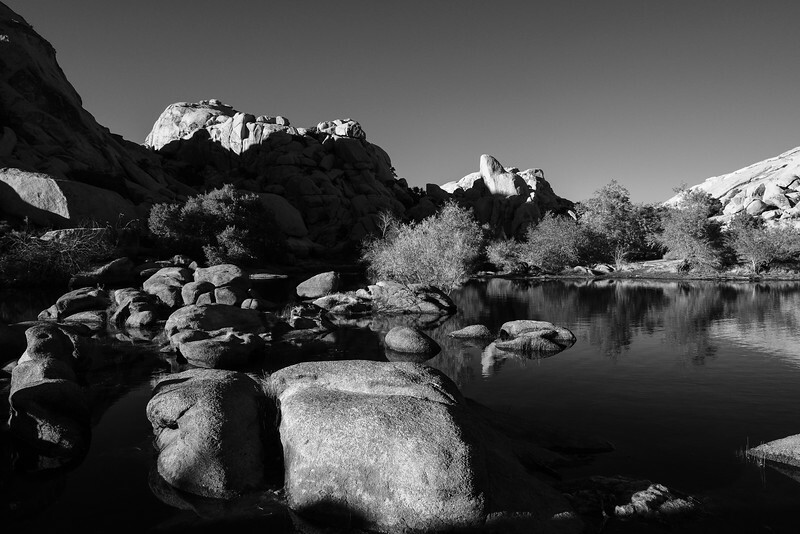 There was enough water behind Barker Dam to make for some nice views. We walked back to the car as the sun was setting. 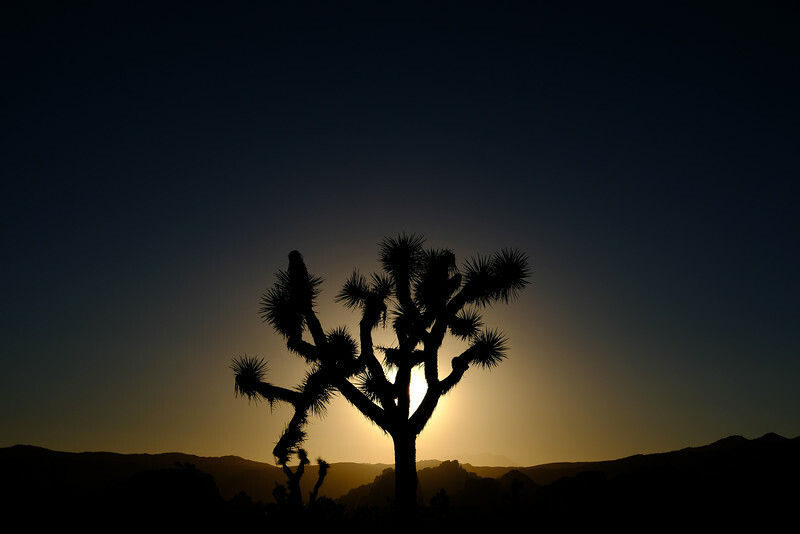 Always a beautiful time in the desert. 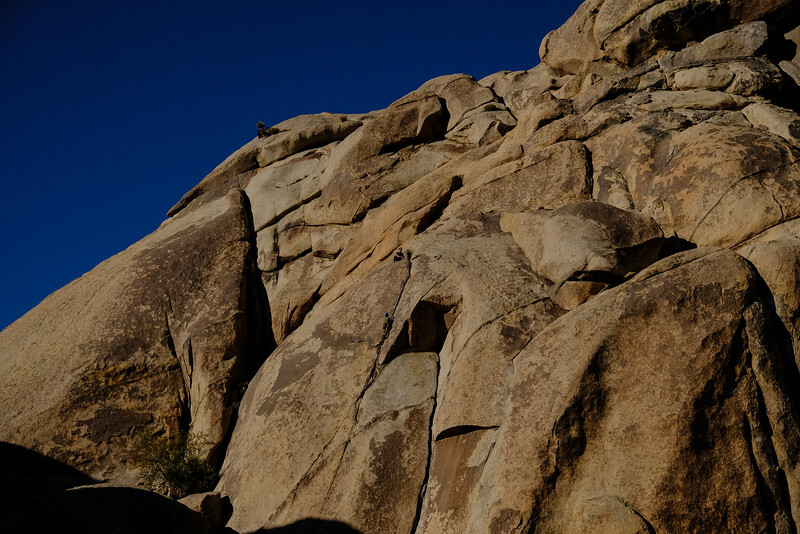 Click here to see a few more images from our trip to Joshua Tree National Park in November of 2018.